The latest design in safety AVF Needles. 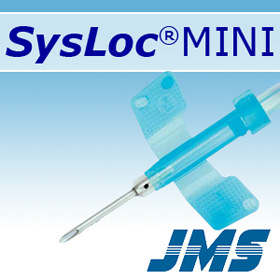 The SysLoc Mini combines innovative technology and the audible "click" to ensure safety for patients and healthcare workers. 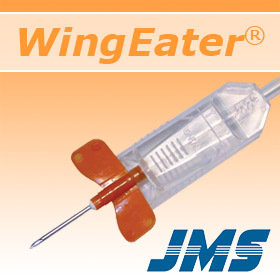 The JMS WingEater provides needle stick protection for the health care setting. The WingEater safety needle allows your facility to comply with OSHA guidelines on needle stick prevention. 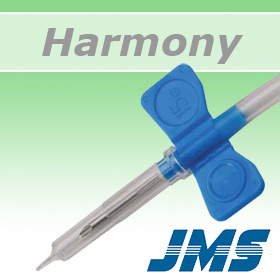 The JMS Harmony AV Fistula needle set is used with buttonhole access sites. The integrated cap design provides a method for aseptically preparing the access for cannulation.